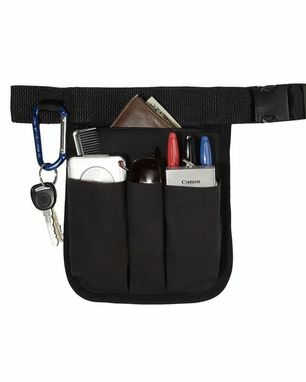 Man Belt was created for a customer who wanted his tool belt to hold a camera, sunglasses, cellphone in three pleated pockets, a zipper pocket for his wallet and passport . Two flat pockets for comb and other things. 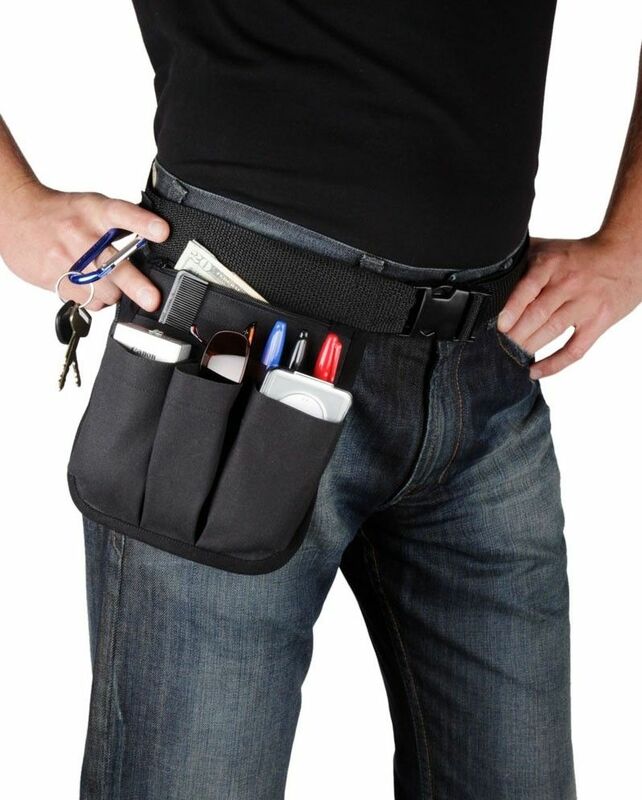 Three pen pockets and a lope for his keys. Total size is 7.5" wide x 9.5" long. Nine pockets- 3 pleated pockets which are 5" long, 3 pencil pockets, 2 flat pockets and 1 zipper pocket 6.5" wide x7" long. 1.5" wide black web belt with a side release snap. A loop is sewn on the belt for the keys. Not just for men, but everyone else available in the five cotton canvas colors of black, olive, royal, lime green and pink. A swivel clasp can be added for a key ring holder. It looks like the clasp on the iPad HipNotions.